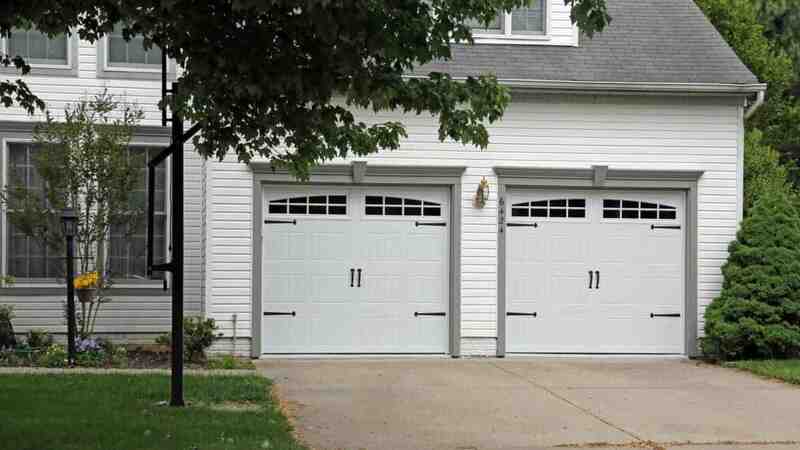 Featured above are two 8′ X 7′ model 199 garage doors from the Overhead Door™ Thermacore® Collection. Model 199 features a V5 panel stamp design and polyurethane insulation with an excellent R-value of 12.76. This ensures maximum thermal efficiency which will keep your garage comfortable in hot and cold conditions. This homeowner chose a white finish, with Somerton 2 windows, and bean style decorative handles and hinges. To power these garage doors, quiet yet powerful Odyssey® 1000 Belt Driven Openers were installed along with an exterior keypad.